Teaching SEO and web design to smart, local creative business owners so they can get found online. Squarespace has a ton of templates choose from and they are adding new templates all the time. Maybe you’ve already build your website on Squarespace and you’re looking for a change or maybe you’re totally new to Squarespace and want to make sure you start with a strong foundation. Not all templates are created equal. Some templates are better than others (especially when it comes to your photography business) and it’s tricky to know what to look for. In this blog post, I’m going to tell you exactly what you should be looking for in a template so you choose the right one to start with and don’t have to deal with a messy switch later on. One thing to keep in mind before we start, templates are grouped into families and templates within the same families have the same features. Click here for a list of each template and the family they belong to. If you don’t know which template you’re using, you can look that up here. Do you plan on using ecommerce? Do you have a blog or want to start one at some point? Make sure you know exactly how things are laid out in your specific template. For example, the Adirondack template only offers a list-style blog, where as Brine offers both a grid and a list option for blog posts. This is somewhat up to personal preference but it’s important to take this into consideration so you don’t build your entire site only to realize that you hate the way the blog layout looks. The best way to fully explore if a specific template has the features your need is to try it out for yourself. 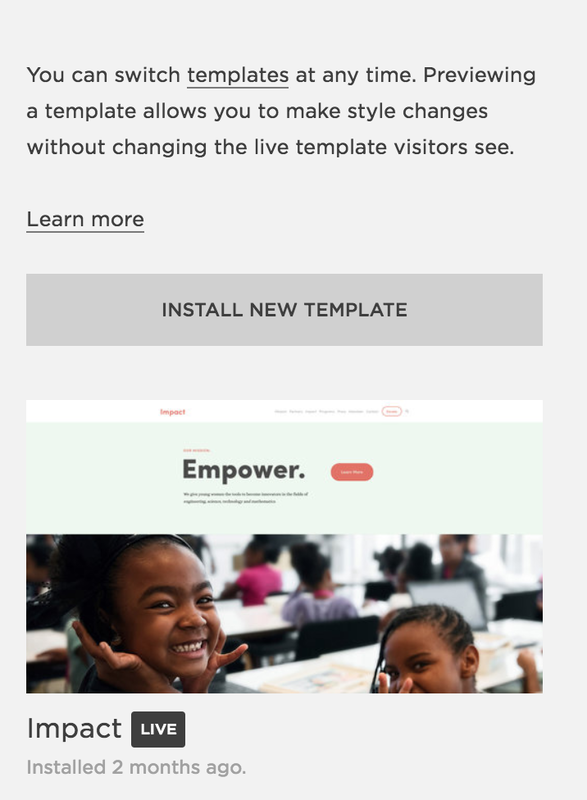 Check out the sample template website and even preview it on your own site before publishing it for everyone to see. 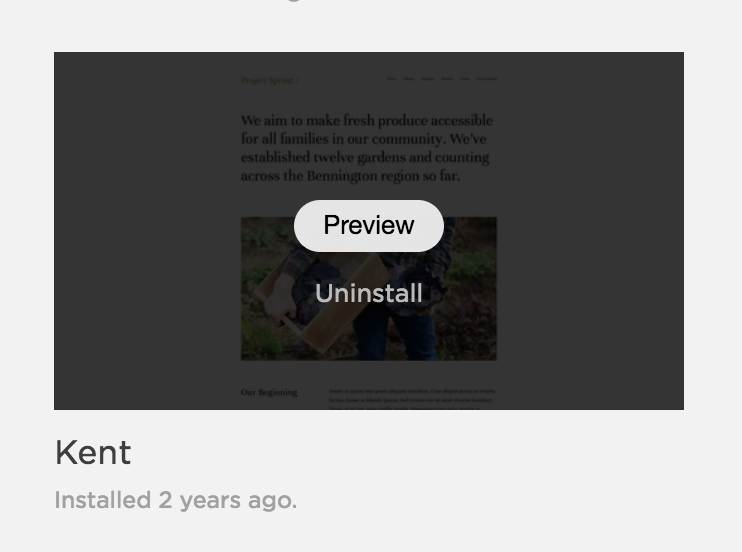 You’ll go to DESIGN > TEMPLATE and click “INSTALL NEW TEMPLATE” to add a new one to your squarespace site and then “Preview” to try it out with your content. By choosing the template family that you are interested in, you can see all the special features that apply and see if it’s a good fit for your brand style. 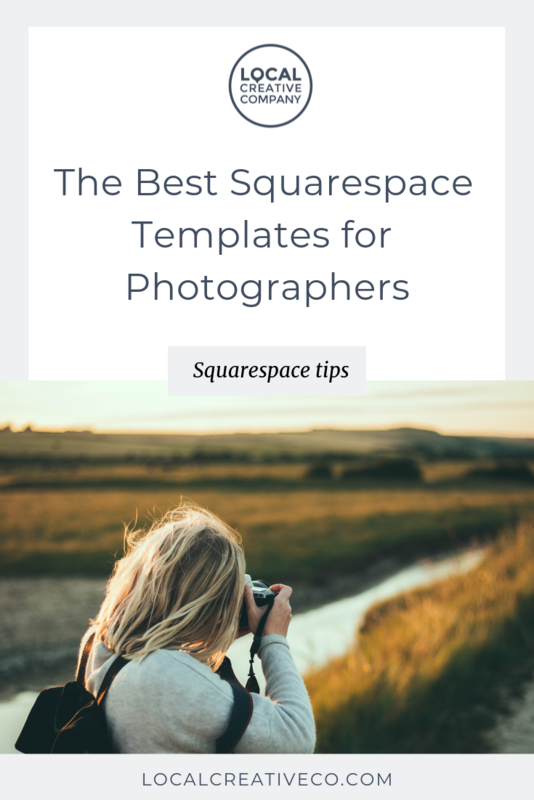 There are quite a few Squarespace templates that are not SEO friendly out of the box. If you choose one of those templates and add your own photos and content you’ll probably be struggling to rank the way you want to in search engines. Why is this? Search engines LOVE content. More specifically they love words. That is the best way for Google to tell exactly what your site is about. The problem with some Squarespace templates is that they don’t have a lot of text. While they may be visually appealing (lots of photos, slideshows, etc. ), the homepage layouts don’t have a ton of room for extra content for search engines. Can you see the difference in the amount of content on the homepage? Keep in mind, any template can be customized to be more SEO friendly even if it doesn’t start that way. You can always create custom pages and make them your homepage instead of using the default homepage template that comes with the theme. Let me know what template you are using in the comments and what you like about it.